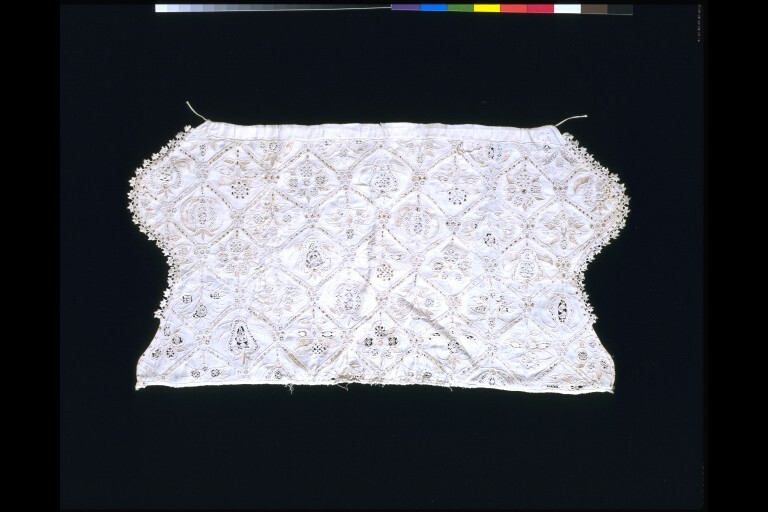 This coif is embroidered in a style known as whitework, using white embroidery threads on white linen. 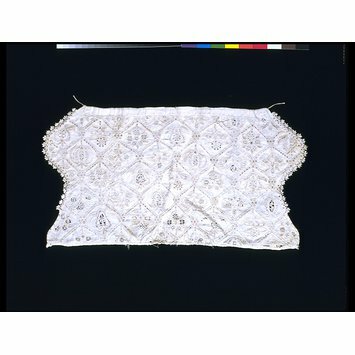 It also incorporates an embroidery style known as cutwork, where threads of the woven linen are cut and removed, and the remaining threads embroidered over to create open, lace-like patterns. 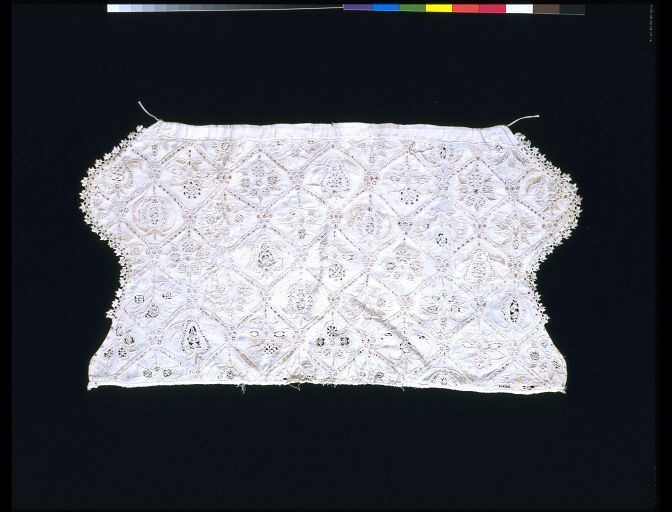 This is an unusual example where the whitework has been embellished with silver-gilt thread. A linen coif embroidered with white linen thread with chain stitch, buttonhole and running stitch in a pattern of lozenges filled with pomegranates, pansies, gillyflowers, strawberries, honeysuckle and other flowers. The pattern is embellished with cutwork and embroidery in silver-gilt thread. Linen bobbin lace borders the cheek pieces, but not the widow's peak. The top seam and gathering at the crown have been unpicked for flat display. The coif is unlined and has a casing at the bottom with narrow linen string. The coif was originally unlined but has been patched and partially lined at the back.